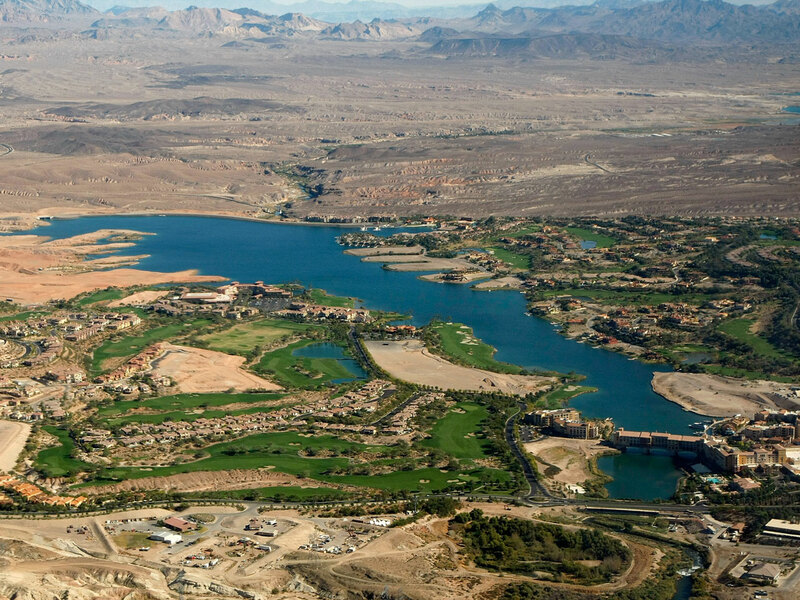 LAS VEGAS - Recovery and investigative teams are heading to a remote site near Lake Mead where a helicopter slammed into a mountainside, killing the pilot and the four passengers who were on a tour of the Las Vegas Strip and Hoover Dam, federal authorities said. The aircraft operated by Sundance Helicopters crashed just before 5 p.m. Wednesday, said National Park Service spokesman Andrew Munoz. Numerous witnesses heard the crash and reported seeing smoke about 4 miles west of the lake's edge, Munoz said. He said a Las Vegas police search and rescue team reached the scene by helicopter and confirmed that all five people on board were dead. The remote crash site in the River Mountains surrounding Lake Mead, about 30 miles from the Las Vegas Strip, is not accessible by road, which slowed down the initial rescue and later prompted officials to delay any recovery and investigation until early Thursday morning. The National Transportation Safety Board said it was launching a 12-member team to investigate the crash. A park ranger rode in a 4-wheel-drive truck to the crash site late Wednesday to protect the bodies and debris until the investigation resumes, Munoz said. Authorities did not release any information about the identities of the victims. A spokesman at Sundance Helicopters told The Associated Press that the helicopter had been giving a local tour when it suddenly went missing. He didn't give his name and declined to answer further questions. "Fly in a state of the art luxury air-conditioned 6 passenger jet helicopter," the website says. Federal Aviation Administration spokesman Ian Gregor said the helicopter was an AS-350, which can hold up to six passengers and is often used for air tours. FAA records state the helicopter was built in 1989. It's unclear what might have triggered the crash. The weather was mostly clear near Lake Mead on Wednesday, with a low temperature around 29 and winds around 5 mph. Munoz said there were no notable conditions that might have caused the accident. A pilot and six passengers were killed in September 2003 when a helicopter slammed into a wall while maneuvering through Descent Canyon, east of the Grand Canyon West Airport. In a 2007 letter that made safety recommendations to air tour operators and the FAA, the National Transportation Safety Board cited unsafe flying procedures and pilot misjudgment as the probable cause of that crash.